Last week I told you all about the very best dog breed (statistically) with kids. If you missed it, check it out here. Today I want to talk about how to manage interactions between kids and dogs so that both species enjoy the encounters. The big thing you have to remember is that they are going to do some really dopey things. Stuff you are totally unprepared for and that you would never in a million years expect them to do. No matter how good you think they are, they will push their boundaries and, at times, totally ignore everything you say. Yup, that’s kids for you. Wait, you didn’t think I was talking about dogs, did you? Come one, dogs are very predictable and listen a hell of a lot better than most kids do. I should know – I’m desperately trying to survive the daily chaos of 2 four-year-olds. If you just do a few things, you can make sure that everyone (human and canine) will enjoy their time together and not come out of the experience traumatized. This should be a given but I’m amazed at how many people let young children interact with dogs with little or no adult supervision. Come on now parents, what’s wrong with you? By young, I’m talking about children under the age of about 8 (or older kids that are immature or don’t take direction well). I don’t care how good your kids or your dog is, stuff happens. In the fun of playing a high speed game of tag, tails can be stepped on and in the crazy reactivity that ensues when the UPS truck pulls up, little bodies can be trampled. Because of all this I don’t like young kids being left alone with any dog – no matter how good they are. Another obvious one here. How well trained is your dog? If your pooch is an out of control Labrador goofball who can’t sit for longer than a few seconds before he snarfs the treat out of your hand, why on Earth would you think that he would be a gentleman when your nephew comes over and starts rampaging around your living room? 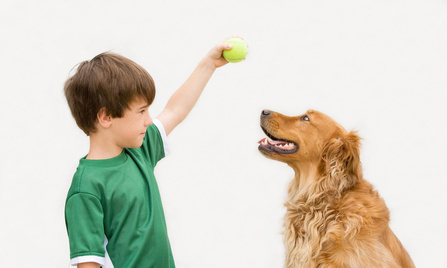 Teaching your dog the basics – especially impulse control and only rewarding a calm state of mind – is a must to set the foundation of controllable behavior around kids (or anywhere else for that matter). Being able to put your dog in a sit or down when kids are running a-muck, can make all the difference. And how about teaching your kids exactly what to and what not to do around dogs. If you don’t tell the better they are going to do something really dumb like petting a dog on the top of his head. Douh! – you do that too, don’t you??? Okay, hang on I’ll get to that in a second. I’ve been teaching my girls since birth the dos and don’ts of being around dogs so they respect a dog’s space and only touch them in appropriate places. My Pit Bull, Hayley has also been so educated and the result is a very safe and happy household for all species. The following rules apply mostly for dogs that are relatively unfamiliar or have not had a great deal of exposure to kids. Dogs that are very well socialized with kids might not require so many rules. However, when in doubt stick to these. Respect a dog’s personal space and let the dog initiate the interaction – the dog might not be cool with you coming at him. Let him come to you. 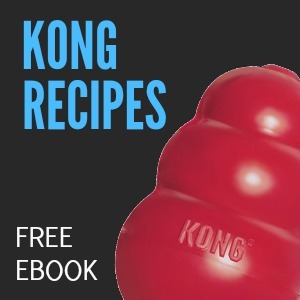 Don’t take the dog’s stuff – food, toys, sticks, etc. Don’t pet the dog on top of the head or hug them – although this is the human default, dog’s really don’t like it. Always pet dogs under the chin or on the side of the head (this goes for you too). Don’t hold food at the dog’s level and be surprised when he samples your lunch – that’s just baiting him. Always ask the dog’s owner before approaching and/or petting an unfamiliar dog. If a dog stiffens his body, turns away or looks uncomfortable back off – I don’t care how much they want to pet him, if he looks like he wants out, let him go. Exercise before you allow them to interact with kids – a tired dog is a good dog. Only allow dogs to be near the kids when they are in a calm state of mind – dogs make bad decisions in an excited or aroused state of mind. If kids are not totally comfortable with dogs, keep your dog on a leash so that they don’t invade the child’s personal space – we don’t want Jr. petrified of dogs because an overly waggy pooch slobbered all over him. Socialize puppies with kids as soon as possible – making sure the interactions are positive and pleasant. As long as you put in some time training and keep an eye on both the kids and the dogs everyone should have a fun time together. Since children account for about 70% of dog bites, it’s pretty important to make sure we’re being extra careful to keep everyone safe and sound. If you train your dog and teach your kids you’ll be setting everyone up to have nothing but a good time together.